He is just too cute with his blue eye, a brass monocle, brass claws and cream fur ears. 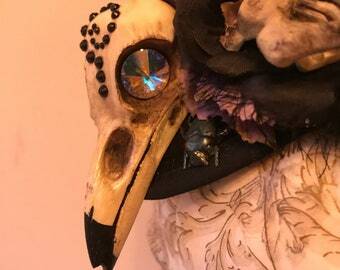 Yes its all fake!, resin fake skull and faux fur. 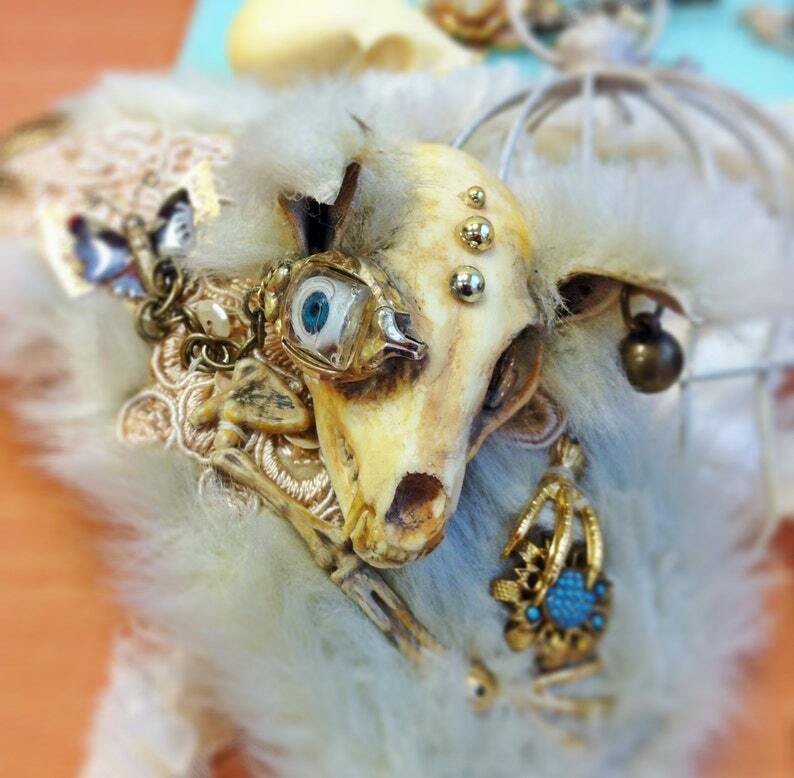 This haunted critter is clawing for the blue gem brooch to replace the watch part in his other eye socket..........He even has a pierced ear. You will not be able to resist him for Halloween head wear. 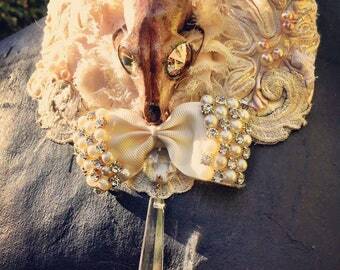 This hair band is decorated with fake cream colour fur, cream colour lace, fake creature skull, brass claws, vintage brooch parts, an old butterfly brooch, old watch parts and a brass winged death's head moth. Easy to wear as I have made him like a 50's style half hat or hair band with an elastic cord and a hair comb mounted on the back. For extra hold Just add more grips, and hairspray or dry shampoo spray on the area you are wearing the head piece. POSTAGE/SHIPPING: To save my customers from being disappointed if their bespoke items are lost in the post I have started using first class track & trace for postage which regrettably is more expensive but faster. If you do not wish to pay for this please contact me and I can lower the postage costs - please feel free to ask me any questions.